Event recap provided by the Pitch Perfect Team. 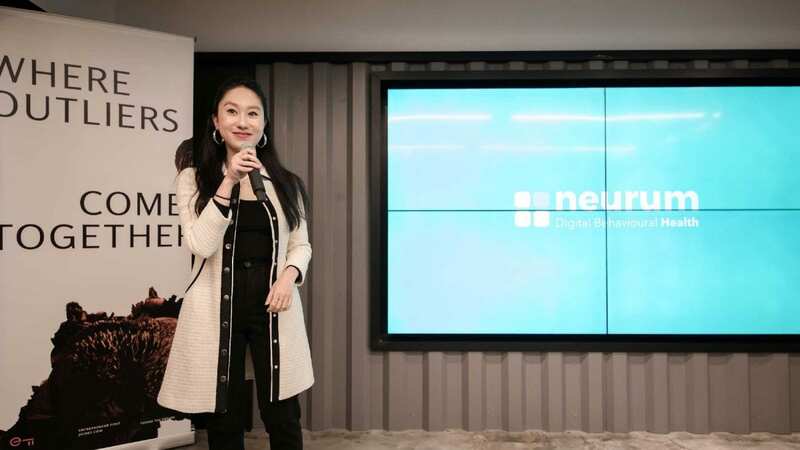 March 19, 2016} Asia’s most significant international investor/entrepreneur funding event platform- Pitch Perfect (www.pitchperfectevent.com) was once again held inside KPMG’s office in Hong Kong. Five global companies participated and were screened by professional investor judges publicly. More than 300 people signed up for the event. The judges were entrepreneurship experts and mentors, experienced angel investors, VCs from around the world, including Mr. Desmond Marshall, founder of Pitch Perfect Event, MD of Rouge International (RLSCLUB.com) and Rouge Ventures; Mr. Derek Kwik, managing partner of Brave Soldier Venture Capital; Mr. Sebastian Leotta, Director of KPMG private equity practice, China; and Mr. Jing Liang, managing partner of Tsing-data Capital and founder of WeRoadshow Limited. 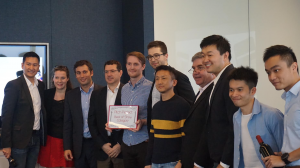 The five startup teams from Japan, America, Mainland China and Hong Kong pitched their companies in front of the investor judges, with businesses that varied from smart international steel/hardware supplies sourcing platform for the building/heavy industries (www.steelavailable.com), robo-advisory type data analytics for ecommerce (www.29century.com), data analytics for key influencer marketing (www.advwhere.com), personalized hair dye beauty care (www.MK-Life.com), and Asian fashion designers online sales launchpad (www.whoolala.com). Whoolala won the Best of Show Category with the investor judges providing them with the highest score. Mr. Marshall stated that the motivation of building Pitch Perfect Event is to discover new and valuable companies from around the world and also the correct team members to lead such projects. With his global background and working experience, he was able to invite top international startups and investors to join the Pitch Perfect events. Many of the audiences are entrepreneurs and investors from all over the world, including China, Hong Kong, Asia, and US. Many of the business owners attended in order to listen about real international businesses but also to focus on how investors consider and comment during the 10 minutes of pitching. The pitching companies can promote their own businesses to the potential investors onsite. Pitch Perfect events currently has already built its high brand effect and partnered with more than 75 organizations, government bureaus, investment companies, global media, universities, and entrepreneurial platforms from around the world. Mr. Marshall, a 10 year+ experienced investor, says that the professional platform has gained appreciation by both investors and businesses by focusing on real businesses and investment values, making it one of the most significant funding platforms in Asia. In addition, Mr. Marshall also organizes the Angel Investor Roundtable for investors and those who want to become one, in helping them gain better investment knowledge and more success in their work. Rouge Ventures (www.rougevc.com) is a venture capital firm focusing on investment projects at the seed/angel/VC phases, building high win probability portfolios for investors to choose from, and providing professional services to investment firms. Rouge Ventures is the organizer for Asia’s most significant international investor-entrepreneur funding event platform, Pitch Perfect, and the Angel Investor Roundtable, an event focusing on supporting and nurturing new investors.